Here’s part two of our preview of some of the new boys making the step up to riding in a WorldTour team in 2013. You can read part one here. The Italian lime-green outfit have signed the 21-year old German, a former national junior time trial champion, from the LKT-Brandenburg Continental team. 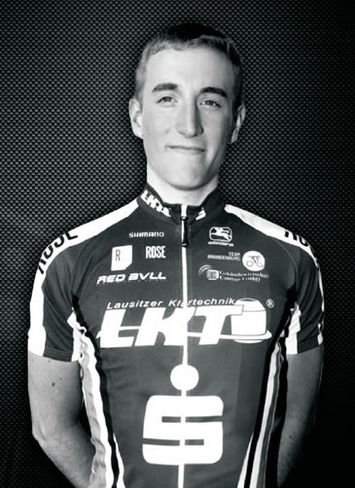 With two victories in 2012 – the team pursuit at the national track championship and the Rund um den Bramscher Berg – plus third place in the national under-23 time trial championship, Michel will slot right into the team’s rouleurs in 2013. 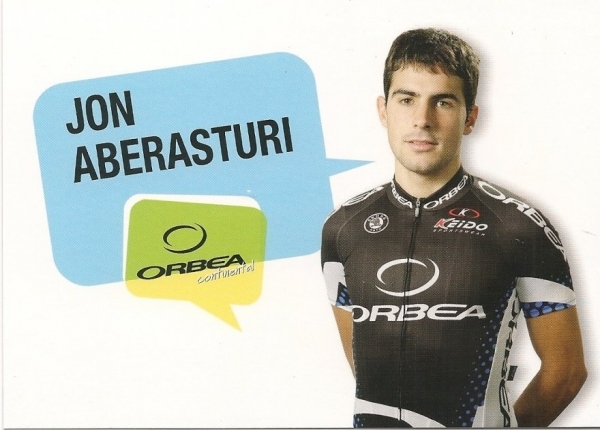 The 23-year old Basque resident of Vitoria Gasteiz, having spent three years with the Orbea development squad, is one of the few Basques joining the orange-clad squad next season. With a solid rather than spectacular palmares, where results have been garnered in largely local races, the youngster will still be a welcome addition to the team. The soon to be 25-year old Aussie used his time as a stagiaire this season to show he was more than ready to step up to WorldTour level. The six months he spent in Garmin’s Chipotle feeder team – now disbanded – allowed him to build on the form he revealed on Australia’s domestic circuit in 2011 and take several sprint stage wins and podium places behind riders of the stature of Andre Greipel (Lotto-Belisol) and Mark Cavendish (Sky). He’ll be looking to link up with former teammate and compatriot Nathan Haas and make his mark early on in his home tour, Down Under. It’s now or never for 32-year old Slovenian Robert to make the transition from Continental team Voralberg to the WorldTour. He’s got eight victories and six podiums to his name this season and his time trialling ability will be much appreciated at the all orange, formerly all-Basque squad. After seven years in Continental squads, six in local teams and the last with the Austrian unit, the Slovenian will be hoping to make his mark and demonstrate that he can also earn UCI points at the highest level. The 23-year old Italian sprinter, who’s been winning races since he was a junior, joined Idea at the start of 2012 and immediately made his presence felt with a victory in the first stage of Coppi and Bartali’s Settimana and a great last third of the season with top ten performances in Tre Valli Varesine, Coppa Bernocchi, GP Industria e Commercio Artigianato Memorial Marco Pantani Carnaghese. These results have opened the doors of the hot-pink Italian squad for 2013. They’ll be hoping Andrea can convert his hot streak into victories at the highest level of the sport. Also hot-footing it over to the Italians is the 29 year-old Argentine sprinter – one of four cycling brothers – who’s enjoyed 16 victories this season racing on the Asian and European circuit. His wins in the Tours of Japan, Kumano, Serbia, Venezuela, Hokkaido, his performance in the Pan American games and his good showing in races such as the Giro di Padania, Coppi and Bartali Settimana, Giro di Reggio Calabria Province and Coppa Bernocchi have garnered him precious UCI points and a chance to see if he can also shine on a bigger stage. The 21-year old young cousin of Garmin-Sharp’s Kreder brothers, who was riding for the Rabobank feeder team, rode as a stagiaire for Vacansoleil-DCM this summer. Most unusually for a stagiaire he won a race, the Tour de Vendee and secured a contract for the following two years. He outclassed Thomas Voeckler (Europcar) on the Frenchman’s home turf to claim a brilliant solo victory built in the last 5km after going clear with the Tour de France King of the Mountains. Ostensibly riding for teammate Marco Mercato he seized his chance when Marco had a mechanical. He also scored a number of top five finishes last year. This powerful young Kazakh rider caught everyone’s attention when aged only 20 he won the under-23 road race at the recent World Championships after recording victories in the Tour de l’Avenir, Giro della Valle d’Aosta and Tour of Bulgaria and a further ten podium places. He joined Astana’s Continental squad last year after winning the Asian junior national road race championships. Team manager Alexandre Vinokourov has already proclaimed he’s better than Peter Sagan (Cannondale). If that’s the case, he’ll be one to watch next season. The 22-year old Russian has spent the last three seasons with Katusha’s feeder squad Itera-Katusha but has long enjoyed some of the privileges afforded the WorldTour riders on account of his ability on the time trial bike. He’s the current under-23 world time trial champion and the double under-23 national champion. He cites Fabian Cancellara (RadioShack-Nissan) as his inspiration but team management feel that with his ability in the mountains he may be more similar to Tony Martin (Omega Pharma-Quick Step). He’s now earned a two-year contract with the big boys. This season, the Colombians were very much the ‘must-have’ helpers in the mountains. No doubt impressed with their existing South Americans – Andrey Amador and Nairo Quintana – Movistar have scooped up Colombian climbing and time trialling 21-year old sensation Argiro from elite team Gobernacion de Antioquia, where his older brother Carlos still rides. In the last two years he has racked up four victories and a stack of top fives. 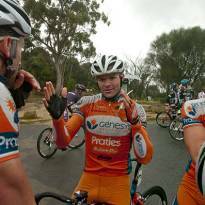 Another Australian making the step up after five years in development squads. 22-year old Rohan already has a formidable palmares, like many of his compatriots honed on the track – 12 victories – and road – 19 wins. He’s the national under-23 road race and time trial champion, plus he was runner-up in the under-23 time trial at this year’s World’s. After a fifth place overall and the mountains classification in his home tour, he added victories in the Olympia Tour, Thuringen Rundfahrt and Memorial Davide Chrono Champenois Fardelli. Garmin are going to have one hell of a time trial team. The 26-year old Lithuanian An Post-Sean Kelly rider was coveted by many WorldTour teams for his nine wins this season which included his national road race championships, the Ronde van Noord-Holland, two stages in the Ras and his runner-up spot in the important German classic Rund um Koln. He’s a bit of an all-rounder, having tried his hand both on the boards and astride a mountain bike. The 30-year old Murcian will be joining Movistar next year after a career spent largely on the track. While he’s been a professional since 2006 and spent three years flirting with road racing in Continental squads, in 2009 he returned to his first love and enjoyed success both nationally and internationally as a track rider. Others have successfully made the move and at worst we can expect to see Eloy leading the Movistar charge from the front of the peloton. And that concludes our two-part look at next year’s newbies. 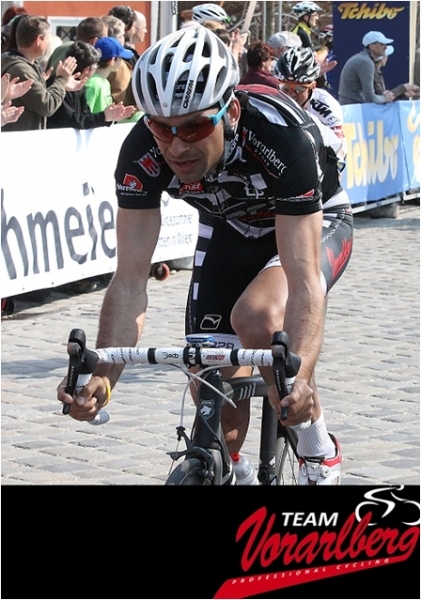 It’s not intended to be an exhaustive list nor is it intended to highlight those riders VeloVoices thinks will perform well in 2013 though we do, of course, wish them all much success in 2013 and beyond in their new teams.